[Chicago — June 7, 2017] ColourPop, one of the fastest growing beauty brands in the US, has partnered with Qubit as part of the company’s new focus and investment in digital customer experience. The beauty products brand has become famous for taking new product lines from concept to market in a couple of days, by choosing Qubit that agility and scalability can be matched for the online business. ColourPop will use Qubit to understand their customers based on the data they are collecting. From that point, ColourPop will then identify different groups based on trends, behaviors and customer lifecycle stage. 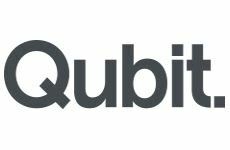 This will be done leveraging the artificial intelligence capabilities of the Qubit platform. Once different groups have been identified ColourPop can then surface segmented personalizations depending on the most relevant experiences for each group, for example social proof or abandonment recovery. Qubit announced the partnership with ColourPop at IRCE, held June 6-9 at McCormick Place West in Chicago. Visit Qubit at IRCE in booth 2014 to learn more about the Qubit platform, highly persuasive personalization and how AI is transforming retail.